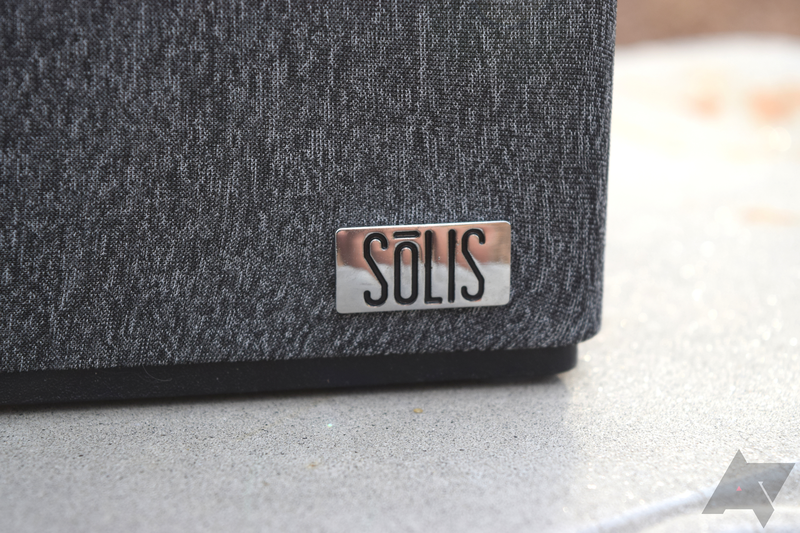 SōLIS is, in the grand scheme of things, a company new to the audio business. 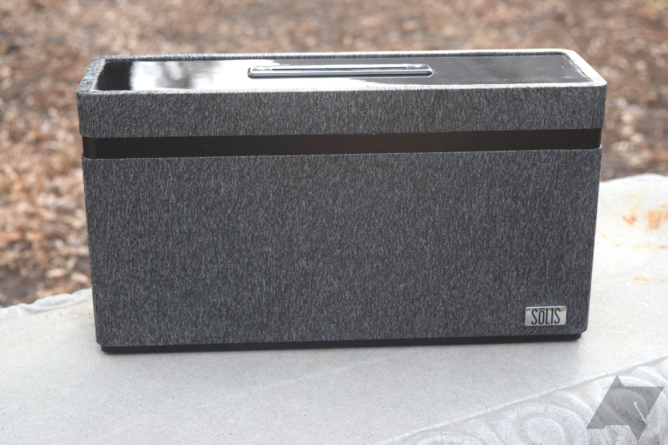 Centering around its oddly stylized name and its slogan "Leave no note unheard," SōLIS focuses on building hi-res audio products that do not necessarily break the bank. For some of us, that line sounds a bit familiar. 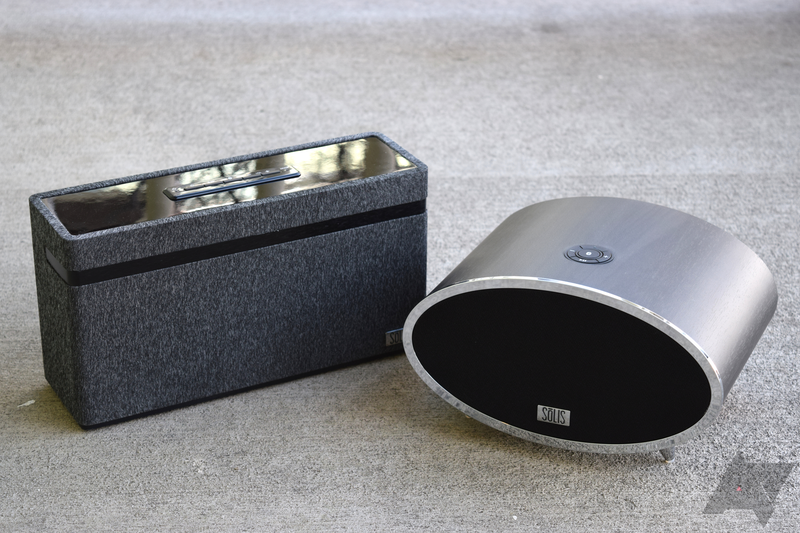 The recent line of speakers, including these two, is aimed at wireless streaming aficionados. This market is currently dominated by Sonos and for good reason, but I like to see new players enter the field to test their hand. I have the SōLIS SO-3000 and SO-6000, two proverbial peas in a pod appealing to different people. Both sport Bluetooth, line-in, and even Chromecast, so there are plenty of input options to be had. The SO-3000 actually reminds me of the Jensen JSB-1000 that Rita reviewed a few months back, while the SO-6000 looks like something from the 1950s. 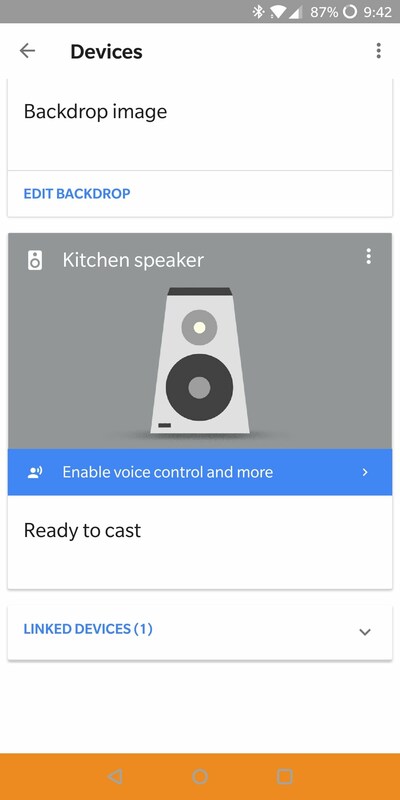 Not only do both support casting, but they also come standard with the ability to link to Google Assistant for even more convenience. Multi-room pairing is also possible with other units, including one SO-3000 and a SO-6000. I really like the SO-3000, but as I wrote this review, I found it hard to specifically point out anything. It's boring in the best possible way: it does not stand out in a room, it sounds great, and it lacks any sort of flair to excite anyone following the initial listening experience. It is because of this that I think the SO-3000 is the perfect companion for any home — it is easy to ignore until you want to hear it outputting sound, just the way that I want my speakers. Meanwhile, the SO-6000 looks entirely different, but it shares the same internals as the SO-3000. You will have to pay a price for the fancier look, an extra $40 for whatever reason. It is because of this that I find the SO-6000 to be questionable at best. Design (SO-3000) The SO-3000 fits very well into most decor schemes, even if it is a little on the big side. There is nothing flashy about it, which I like to see. Chromecast/Assistant compatibility It is really awesome being able to tell Assistant on my phone or Homes to play my favorite Spotify playlist on the SO-3000. Setup is also very simple and streamlined via the Home app. Sound quality These speakers pack a punch, with strong mids, solid highs, and surprisingly decent bass. Chromecast, line-in audio, and multi-room support also come standard for an even better listening experience. Stereo While this is technically stereo, I found that the separation wasn't the best. It felt more mono. Value (SO-6000) For having the same internals, the SO-6000 represents a questionable value at a $270 MSRP versus the SO-3000's $230. SōLIS went with an understated design with the SO-3000, opting for an unassuming grey rectangle. A SōLIS logo sits in the bottom right corner on the front, while the top control panel and rear I/O are surrounded by a glossy black plastic. Despite the speaker's physical size, it's fairly innocuous. I decided to place it in my kitchen as a temporary replacement for my 10+ year old iHome 30-pin iPod dock, and it looked right at home with my other appliances. I could say the same for the short amount of time it lived in my living room, too. One thing that I noted immediately about the SO-3000 is how solid it feels, partially due to the wooden cabinet that encapsulates all of the components. The speaker also has a pretty serious heft to it, which serves as a reminder that it is not necessarily meant to be moved around frequently. I am also a fan of the heather grey fabric that covers the whole thing. Not only does it keep the speaker neutral, but it feels nice to the touch. 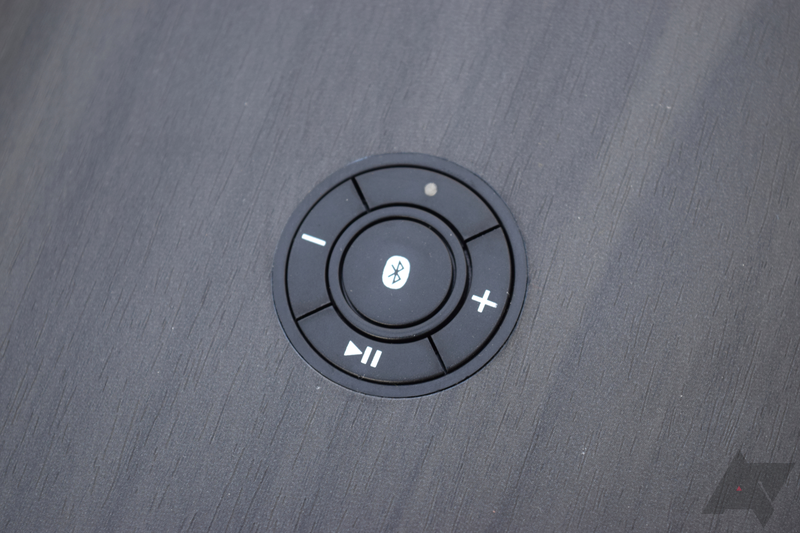 The control buttons feel a bit soft for my liking, not providing the level of tactile feedback that I prefer to see. When I initially set the SO-3000 up, it took me a few seconds to realize that the power button must be pressed and held in order to power on/off the speaker. Both of the LEDs get bright enough to see indoors — one denotes the power status while the other tells you which mode the speaker is in. From this perspective, the SO-3000 is very boring and unexciting, but that is not a bad thing. It fits in well with nearly any decor, which is great since its purpose is to fill your room with high-quality sound, not be a visual distraction. Changing gears, let's take a step over to the SO-6000. Like the 3000, it is a solid and well-built speaker, but instead of fabric and glossy plastic, you get the bare wood cabinet. The stain that SōLIS used looks nice, accentuating the grain. Where the opinions on the SO-6000 will diverge, however, is at the design. 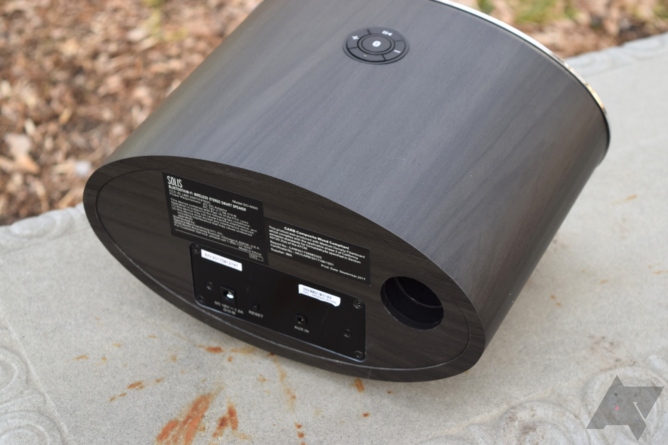 The elliptical body is very reminiscent of vintage-style speakers, giving off a 1950s-ish vibe. The chrome around the edge of the face is not my favorite, either, because I thought that it cheapened the look and it also turned into a fingerprint magnet faster than the plastic on the SO-3000. The front feet push the SO-6000 up at a very slight angle, which furthers the vintage appearance and feel. Some of you may find this appealing, but I appreciated the subtlety and relative minimalism of the SO-3000. To each his own, I suppose. Unlike the SO-3000, I liked the buttons on the 6000. They were quite clicky and much easier to press, and I liked the circular cluster better than a line. The 6000 still requires holding in the power button like its counterpart. 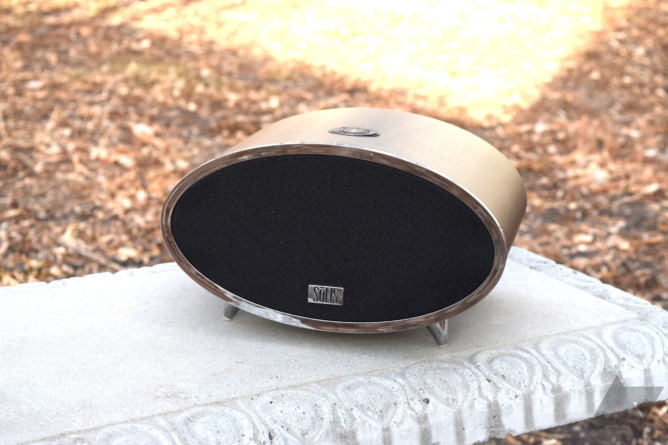 SōLIS is offering people two different speaker designs to meet varying tastes here, which I applaud. I had little to say about the physical design of the SO-3000 because there was not much to talk about, since SōLIS' primary focus was on providing a good sound experience. Packed into this 6.3 x 11.8 x 3.7 in body are two 3" full range Hi-Fi speakers with a total output of 18W x2 (RMS). 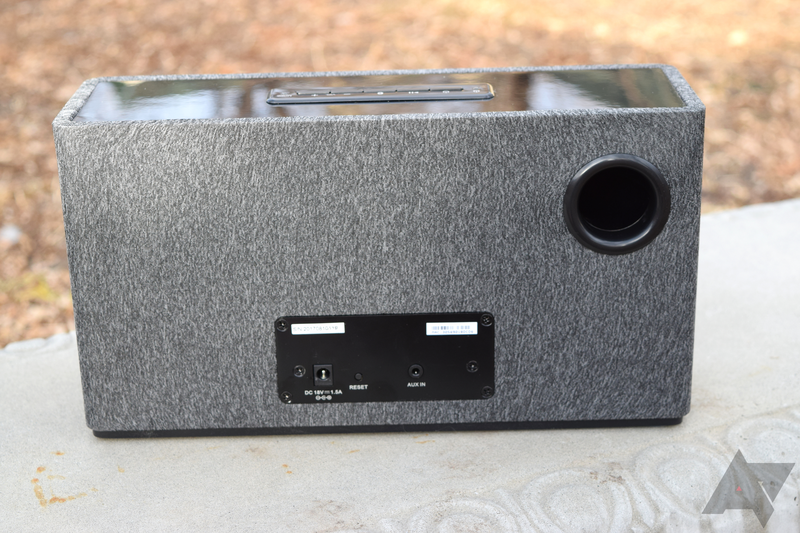 The low resonance cabinet itself has a tuned bass port, which helps the speakers push more low-frequency sound while keeping the physical footprint smaller. The SO-6000 was quite a bit more polarizing for me, since a lot of the focus is on the design. Into its elliptical body are packed the same exact internals as the SO-3000, meaning that the only differences between the two are how they look and how much they cost. Keep this in mind as you read on. SōLIS provided three methods by which the SO-3000 and SO-6000 may play music: Bluetooth 2.0, a 3.5mm line-in jack, and Chromecast. The former is by far the lowest quality, but it works in a pinch if you do not want to (or cannot, as the case may be) connect the speaker to your home network or plug in your source device. The highlight here, and what Solis is advertising, is the Chromecast support. Since the protocol functions over Wi-Fi, high resolution lossless audio is possible via "select streaming services." Another benefit of the built-in Chromecast is that the speakers support multi-room pairing, à la Sonos, and wireless control from anywhere in the home. I have to admit that I was doubtful of the practical utility of multi-room, but in recent months, I have changed my mind and I quite like the concept. I mainly use it when I am cleaning my apartment, so I find that I really enjoy having the music in all the rooms (though SōLIS' products support different music on the various speakers, too). Before, I would have a single speaker somewhere and just turn it up really loud to hear it when further away. There is not anything wrong with that, per se, but I did not realize that it annoyed me until I tried multi-room. So, all of that to say, consider me converted. 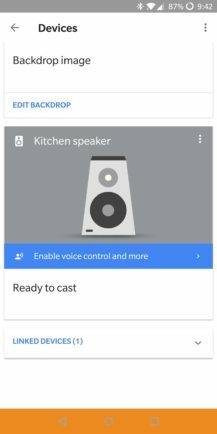 Both the SO-3000 and SO-6000 immediately impressed me after I set them up via the Google Home app (more on that below) and started casting music to one or both. The sound profile was rich, much to my enjoyment. 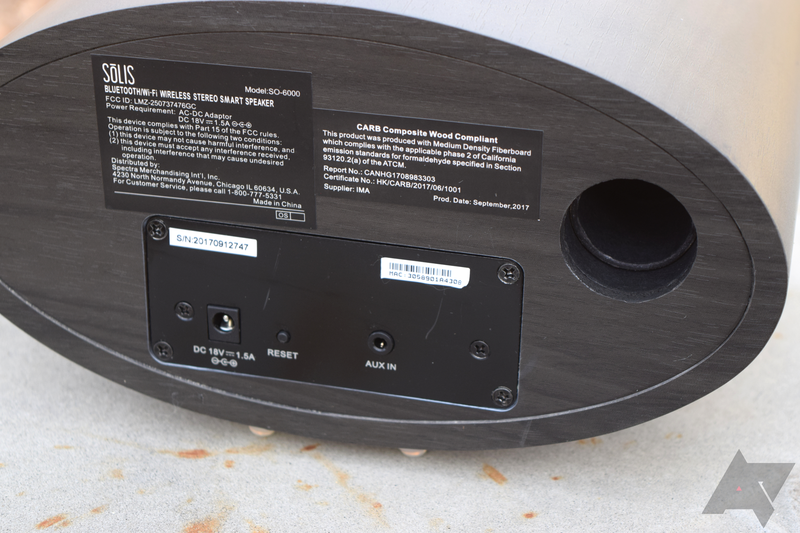 The tuned bass ports really help with the boom – the SO-3000 rattled some of my other appliances during certain songs – with the highs filling in around the great mids. In short, I loved what I heard. Sound quality, especially wireless, is partially subjective, but for $230, the SO-3000 really manages something stellar. Using line-in audio is also another great option if you prefer that route, though to my ears, most of my music files sounded about the same over casting as coming straight from my phones (OnePlus 5T mainly, but I also tried my Meizu Pro 6 Plus which has the ES9018K2M DAC). Meanwhile, where I start to lose interest in the SO-6000 is that it sounds the same, but costs $40 more. Another highlight with SōLIS' new products is the compatibility with Google Assistant. 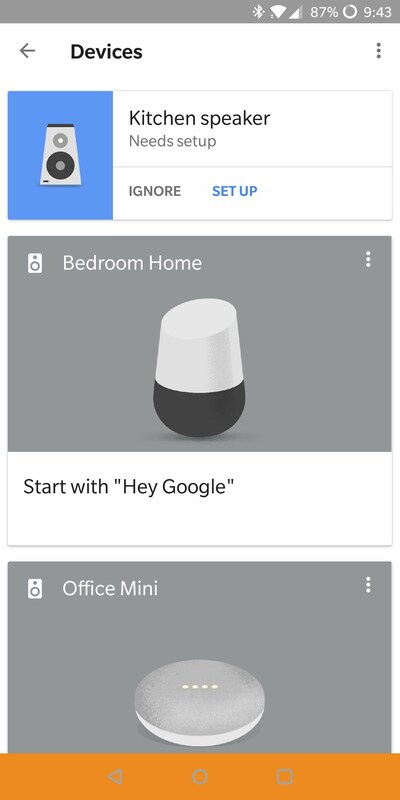 After plugging in the SO-3000 and powering it on, I jumped into the Google Home app where a handy prompt to set up a new speaker waited. Going through the process of adding another device to Assistant was just as easy as when I got my Home Mini. I assigned the SO-3000 to my kitchen and the SO-6000 to my living room and went on my merry way. Initially, I felt a bit awkward specifying to Assistant on my phone or Home to play whatever I wanted on the kitchen and/or living room speaker, versus just giving the command and letting the music play on whatever device processed it — e.g. telling my phone or Home "Hey, Google, play the r/Outrun Official playlist on Spotify on the kitchen speaker." I got used to it, though. Another thing that is worth noting is that the Home app allows assigning speakers to a group, and you can set individual units or groups as default when you give the command to play music. The SO-3000 and SO-6000 also appear as cast targets in supported apps, as you might expect, but the added utility of linking them to Assistant is really great. SōLIS did not add voice activation to these, though, so you still need to use a device that can process the commands. Audio is quickly becoming one of my new favorite hobbies, so I was quite thrilled to try out the SO-3000 and SO-6000. The speakers themselves, especially the 3000, are a bit larger than I expected, but the size helps with their overall sound profile, especially bass. I like the heather grey fabric that covers the face and back on 3000, which helps it blend in with the decor around my home. The 6000, meanwhile, stands out like a sore thumb no matter where I put it. It is pretty obvious that SōLIS intended this to be more of a conversational piece than the 3000. I found that I was happiest with the SO-3000 in the kitchen, where I spend a lot of time cooking and cleaning. My ancient iHome does a semi-passable job as an audio device, but SōLIS' offering really helped dull the tedium of cleaning counters or washing dishes. The SO-6000, meanwhile, remained in the living room, where its vintage-y looks could be shown off. Most of the time, I casted music from my NAS to one or both speakers via Plex. When it comes down to it, the SO-3000 and SO-6000 are the same speakers internally, differing only in their looks. While I would not have a problem with this if they cost the same, SōLIS has the 6000 priced at $270. I could certainly understand a price difference if these two differed in sound quality, max power output, etc., but as it stands, the SO-6000 is not worth buying unless you dig the looks. While I cannot confirm this, my guess is that SōLIS is targeting the Sonos PLAY:3 with the SO-3000. 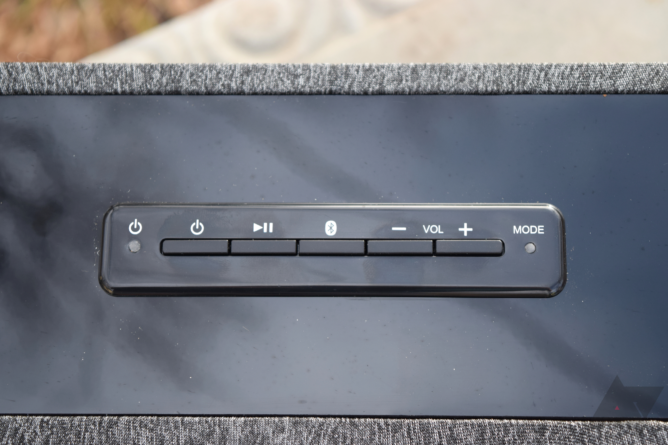 Unfortunately, I have not had much exposure to the PLAY:3 to offer you, dear reader, a true comparison — however, I can say that the $230 MSRP for the SO-3000 would be money well-spent if you are seeking a solid start to your wireless audio system. If you are really hooked on the idea of Sonos, whether because you are already heavily invested in the ecosystem (like Artem) or because you have your heart set on it, then I do not think I can convince you. But if you are open-minded, for whatever the reason may be, then I suggest that you check out the SO-3000. I was very delighted to have the opportunity to test it. Both are fantastic speakers, though I prefer the 3000 for both appearance and price. Before I conclude this review, I think it is important to point out that, while the SO-3000 is listed at $229.99 on SōLIS' site, you can find it cheaper on places like Newegg ($141), Staples ($200), and Walmart ($130). I will include those links below. At those prices, especially Walmart's this speaker is an incredible value. A similar story exists for the SO-6000, where Walmart ($222) is the best place to buy one if you want the vintage-y look. 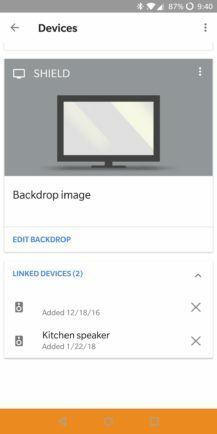 Weekend poll: What is your ideal smartphone screen aspect ratio?